This June 14, 2018, file photo shows entrepreneur Elon Musk at a news conference in Chicago. Shares of the automaker fell roughly 11 percent in extended trading Thursday. The stock is roughly 30 percent below its 52-week high of $387.46. The SEC complaint alleges that Musk issued "false and misleading" statements and failed to properly notify regulators of material company events. The SEC held a press conference Thursday night regarding the complaint. "A chairman and CEO of a public company has important responsibilities to shareholders," Stephanie Avakian, co-director of the SEC's division of enforcement, said during the press conference. "Those responsibilities include the need to be scrupulous and careful about the truth and accuracy of statements made to the investing public, whether those statements are made in traditional forms such as a press release or an earnings call or through less formal methods such as Twitter or other social media." "Neither celebrity status, nor reputation as a technological innovator provide an exemption from the federal securities laws," she said. Musk called the allegations "unjustified" and said he "never compromised" his integrity. "This unjustified action by the SEC leaves me deeply saddened and disappointed," Musk said in a statement to CNBC. "I have always taken action in the best interests of truth, transparency and investors. Integrity is the most important value in my life and the facts will show I never compromised this in any way." In August, Musk tweeted that he was considering taking Tesla private, adding "funding secured." The tweet spurred a scandal-ridden fall for Tesla and sent the stock see-sawing for weeks. Musk later explained that he had been in discussions with the Saudi Arabian sovereign wealth fund and felt confident the funding would come through at his proposed price of $420 per share. 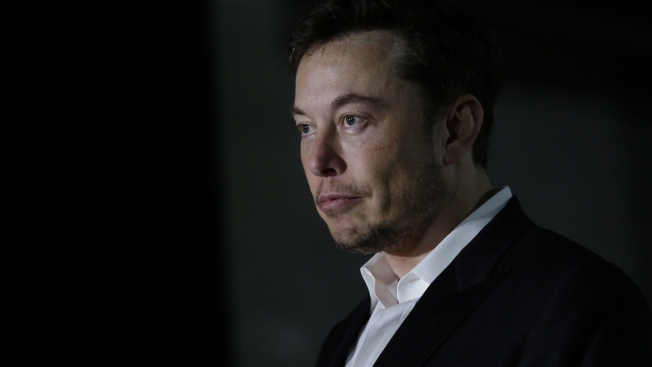 Musk knew that he (1) had not agreed upon any terms for a going-private transaction with the Fund or any other funding source; (2) had no further substantive communications with representatives of the Fund beyond their 30 to 45 minute meeting on July 31; (3) had never discussed a going-private transaction at a share price of $420 with any potential funding source; (4) had not contacted any additional potential strategic investors to assess their interest in participating in a going-private transaction; (5) had not contacted existing Tesla shareholders to assess their interest in remaining invested in Tesla as a private company; (6) had not formally retained any legal or financial advisors to assist with a going-private transaction; (7) had not determined whether retail investors could remain invested in Tesla as a private company; (8) had not determined whether there were restrictions on illiquid holdings by Tesla's institutional investors; and (9) had not determined what regulatory approvals would be required or whether they could be satisfied. The complaint also alleges Musk tweeted the statement without the input of other Tesla executives. "At 1:00 PM EDT, approximately 12 minutes after Musk published his tweet stating, 'Am considering taking Tesla private at $420. Funding secured,' Tesla's own head of Investor Relations sent a text to Musk's chief of staff asking, 'Was this text legit?'" the complaint says. After Tesla's head of Investor Relations received another inquiry from another investment bank research analyst at approximately 7:20 PM EDT, he asked whether the analyst had read Tesla's "official blog post on this topic." The analyst responded, "I did. Nothing on funding though?" The head of Investor Relations replied, "The very first tweet simply mentioned 'Funding secured' which means there is a firm offer. Elon did not disclose details of who the buyer is." The analyst then asked, "Firm offer means there is a commitment letter or is this a verbal agreement?" The head of Investor Relations responded, "I actually don't know, but I would assume that given we went full-on public with this, the offer is as firm as it gets." Musk said in an interview with The New York Times that he calculated a take-private price of $420 by rounding $1 up from what would have been a 20 percent upside at the time. "According to Musk, he calculated the $420 price per share based on a 20% premium over that day's closing share price because he thought 20% was a 'standard premium' in going-private transaction," the SEC alleged in its suit. "This calculation resulted in a price of $419, and Musk stated that he rounded the price up to $420 because he had recently learned about the number's significance in marijuana culture and thought his girlfriend 'would find it funny, which admittedly is not a great reason to pick a price.'" In the hours after the initial tweet, Musk doubled down on the proposal in subsequent tweets. The SEC cited those subsequent tweets in the complaint as additional misleading statements. Musk also failed to properly notify regulators about his plans to take the company private, the complaint alleges. Tesla's board of directors initially formed a special committee to evaluate the take-private proposal, and Musk said he had hired financial advisors to assist with the plans. Musk ultimately called off the privatization plans on Aug. 24. Tesla said earlier this month the Department of Justice was also looking into the Aug. 7 tweet. The SEC fraud charges against Musk suggest that financial regulators want the CEO reined in, if not ousted, said John Gavin, CEO of Probes Reporter, a business intelligence firm that focuses on undisclosed SEC probes and enforcement actions against public companies. Gavin pointed out that Tesla-owned SolarCity has been investigated by the SEC multiple times but never disclosed those investigations to shareholders — not even ahead of the acquisition of SolarCity by Tesla in 2016 for $2.6 billion. "Read the case, and you can see the SEC's conclusion is that Elon Musk has followers, has the public trust and therefore has obligations," Gavin said. "What he says publicly matters. And he was irresponsible." Download the lawsuit as filed with the Manhattan District Court here. —CNBC's David Faber contributed to this report.